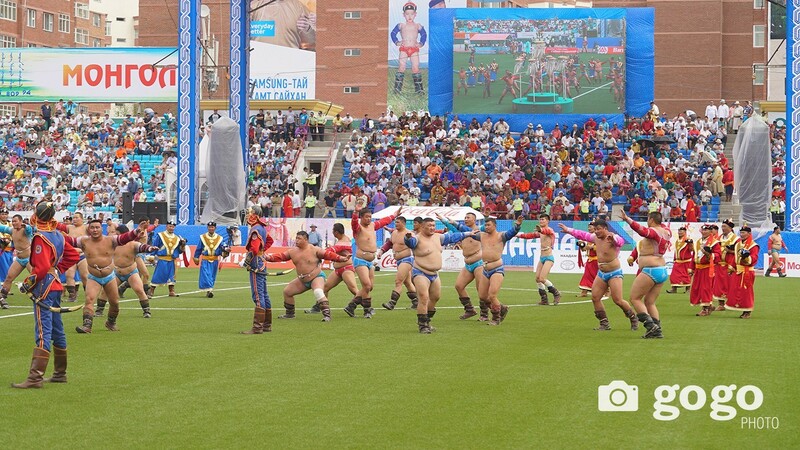 Mongolian wrestling is an age old tradition. Petroglyphs dating back to bronze ages (7000-110000 years) found in Del Mountain in Dundgobi province depict 2 men wrestling while other people watching. Also historic documents show that nomadic tribes in Central Asia used to compete with each other with wrestling, archery and horse racing. 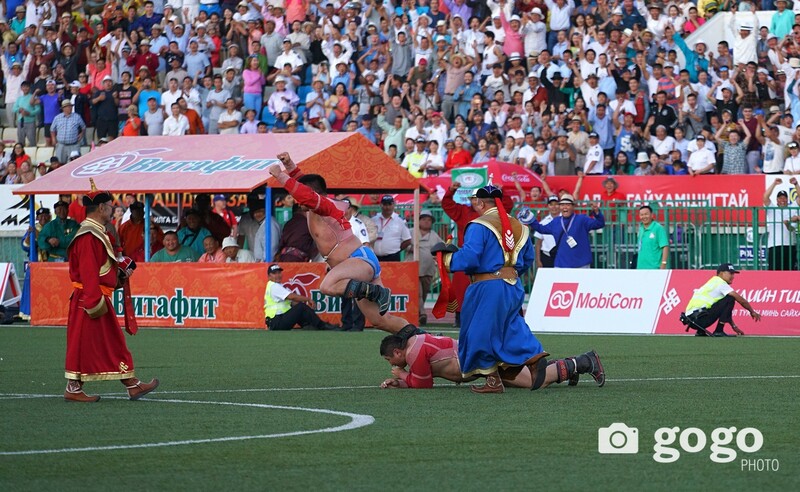 Today wrestling is one of the Three Manly Games of the Mongols. Mongol wrestling is mainly shaped by soldiers during the hundreds of years of warring; and good wrestlers have always been respected as fine men. It is even said that Genghis Khan liked wrestling a lot and his favourite sibling Khasar was a renowned wrestler. 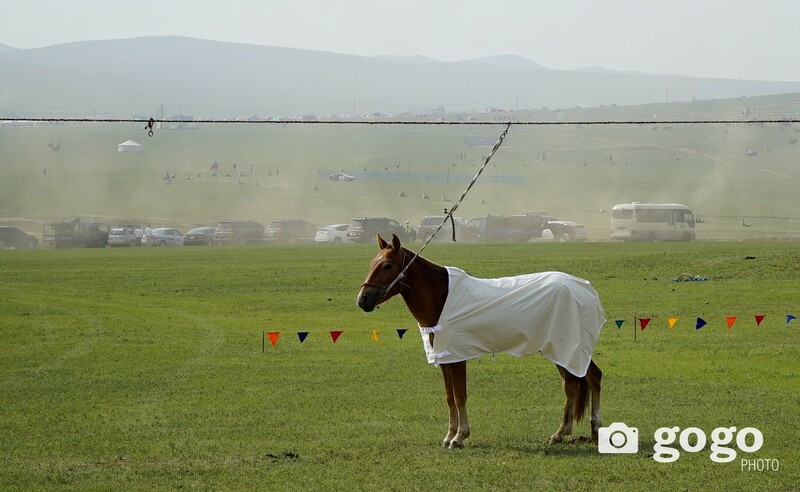 The Mongols have the saying that every Mongol man is a wrestler and every Mongol horse is a race horse. 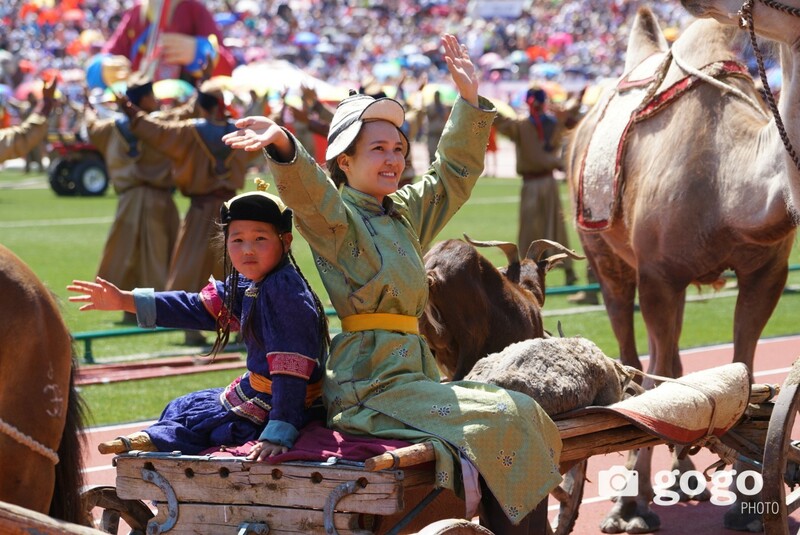 However, one should note that not everyone grappling is considered as a wrestler in Mongolia, but a wrestler is one with fine body, considerable agility, strength and many tricks as well as pleasant characteristics. Higher ranking wrestlers enjoy privilege of choosing their opponents, though at certain rounds there’s automatic matching of pairs to avoid arranged title earning. Also, there’s special ritual at the starting, saluting, and finishing the competition – performing these rituals is considered a special duty for wrestlers. Moreover, seconds calling out the titles of wrestlers, wrestlers’ costumes and rites of acknowledging defeat all combine elements of sports and arts. Seconds call out the names & titles of high-ranking wrestlers melodically at certain rounds when those wrestlers choose their opponents. When wrestlers salute spectators they perform a special dance-like routine which usually imitates soaring eagles, falcons and hawks. Wrestling seconds are reflected as vital helpers and coaches for wrestlers as they encourage wrestlers and advice when necessary. And if a Lion wins another year he will become Champion and for more years of winning praisals are added to his title. 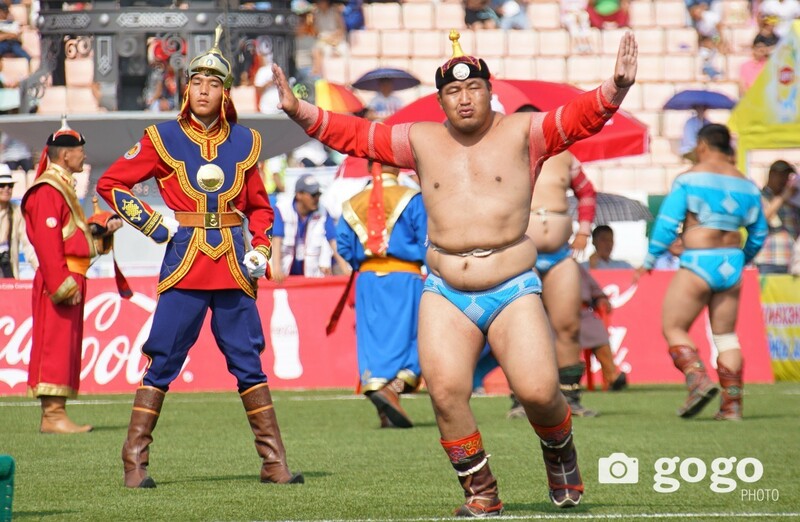 Mongol wrestlers’ costume consists of 2 parts: upper part is called zodog and the lower part is called shuudag. The zodog & shuudag are usually bright red or blue. Wrestlers complete their looks with Mongol hat & Mongol boots that can be of any colour. 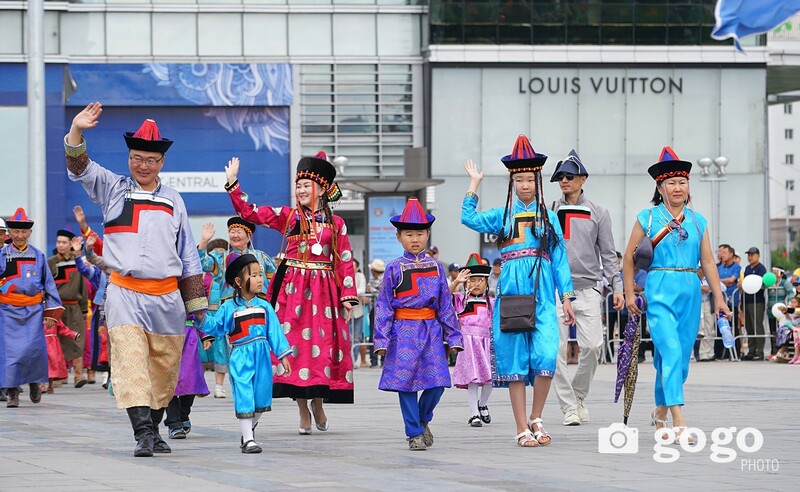 This year, the Mongols are commemorating the 2226th anniversary of Hunnu/Hun Empire, 811th anniversary of the Great Mongol Empire, and the 96th anniversary of Mongolian people’s revolution. Therefore, 512 wrestlers will compete in Ulaanbaatar. Wrestling ticket costs USD 25 for tourists depending on the seats & sections. 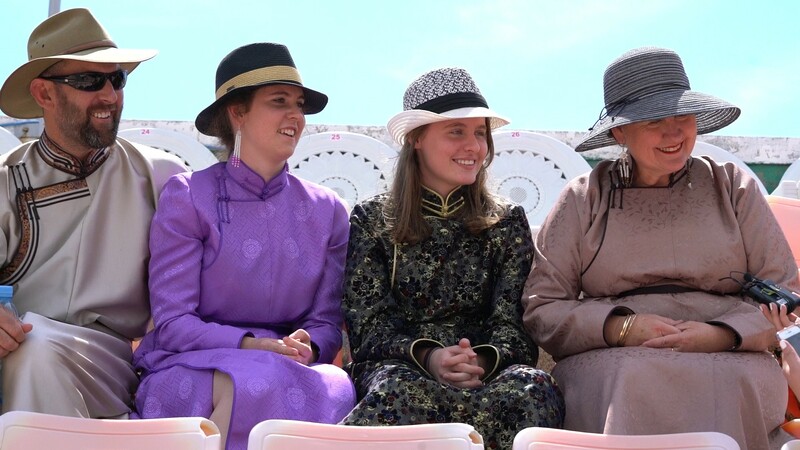 Prepared by Zola, Co-founder of Premium Travel Mongolia. Prepared exclusively for GoGo Travel. © All rights reserved.